While some throw away junk, robabikia dealers see an opportunity to earn money. Workers in Zabbaleen neighborhood recycle 80% of the rubbish they collect and live amongst. 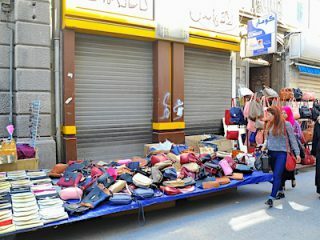 Online trading and ad sales slip through an Egyptian internet devoid of government regulations.